Save $500+ at the Grocery Store by Making These Easy Changes! One of our savings experts, Melissa, switched up her grocery shopping habits for her family of four 6 months ago and she swears it was one of the smartest decisions she's made in her adult life. Despite what people say, you don’t need to be an extreme couponer to save at the grocery store. Melissa shared her saving experiences with us and we collected them into the list of easy tips below! 1. Grocery Shopping Once a Month Saves Money! 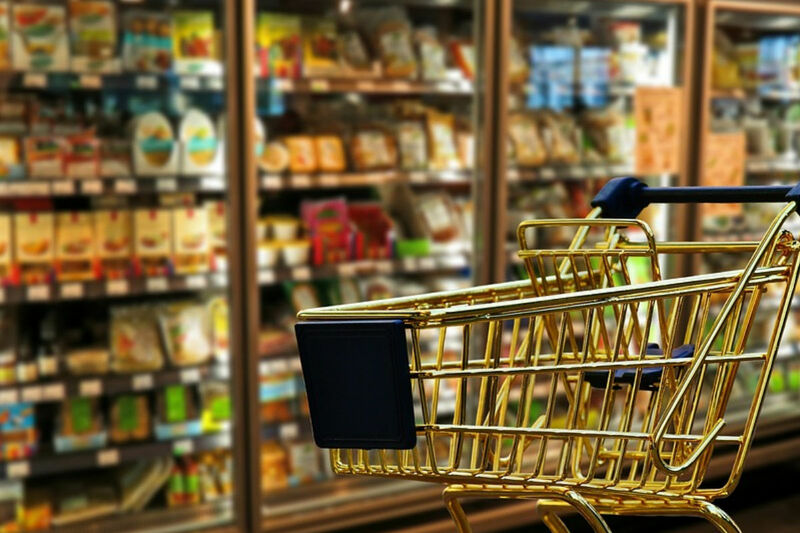 On average, shoppers visit the grocery store three to four times per week and end up purchasing over 50% more than they originally planned. Save time, money and stress by limiting your grocery trips to once per month. You can prioritize your grocery list in advance and match up your coupons with the foods you actually eat. It also allows enough time to plan and print coupons so you never miss a deal! 2. Save and Scan All of your Receipts. Receipts are a great way to take advantage of additional coupons and promotions you may have missed when you were at the store. And, on the planning side they are the best tool to keep track of what you're actually buying. Notice a lot of impulse buys on that receipt? Make note and don't deviate from your prepared shopping list next time. Those purchases add up fast! PLUS: Some of our favorite apps for cashback are below. Use multiple apps to maximize your savings! Whether it’s big boxes of goods at Sam's Club, or the bulk bins at the local market, it’s easier and cheaper to buy larger amounts of food and paper goods in bulk (it also saves on excess packaging too). Buy a large quantity of an expensive items one month (especially if on sale) and another one the following month, rotating similar large purchases throughout the year while matching sales. Example: olive oil, frozen chicken. Manufacturer coupons are the "holy grail" for savvy shoppers because they are accepted at both national and local grocery stores. The best couponers will combine manufacturer coupons with grocery store coupons, rebate apps and customer loyalty cards to maximize savings power. Coupons: Sign up and print from these brands and score$1,000+ in exclusive coupons form your favorite products, useful tips and ideas on how to save (even more! ), and learn about free samples and exciting promotions. HOT TIP: Keep in mind - you can usually only print two online coupons per person, per manufacturer, per day. This is a great way to get added perks in the form of store credit or points delivered right to your inbox. The best tactic is sign up for the brand's loyalty offer via their website to get their deal announcements sent directly to your email - EASY. Once you become a Gold member the free coffee and other savings just pour out! Get 5% off ALL of your Target purchases when you apply for the Target Red Card. They offer a credit card as well as a debit card. Don’t know if that cereal, shampoo or diaper product is any good? No worries, look for a free sample from our huge Free Samples or Freebies sections on MySavings.com. We list hundreds of brand name products so you can try them out before purchasing. HOT TIP: Did you know you can ask to sample anything at Trader Joe’s and also in the produce section at Whole Foods? Focus on only buying groceries when they are at their rock-bottom price. HOT TIP: Most stores and regions follow a 6-week cycle. So, if you see a cheap price one week then buy enough of that item to last around 6 weeks to add to your stockpile. Be sure to research each grocery store's online couponing policy before shopping. If you're like Melissa, and other moms on our team, you have a favorite store. It's your go-to place, your shopping home. While it's okay to prefer one shopping experience over another, don't be afraid to step outside your comfort zone and explore prices at other stores. You'll save a lot more than you think by adding several stops to your grocery trip. Be sure to keep all your receipts to help you compare prices at different locations. It may sound like a lot of work, but once you know where to buy certain items, you won't have to comparison shop until you notice a price increase. YOUR TURN: What's your favorite way to save at the grocery store? Disclaimer: This post may contain affiliate links. Thanks for reading!